With the recent confirmation of construction of a 19km long bridge from Puttgarden in Germany to Rødby in Denmark, to be finished in 2018, one of the last train ferries will come to an end. 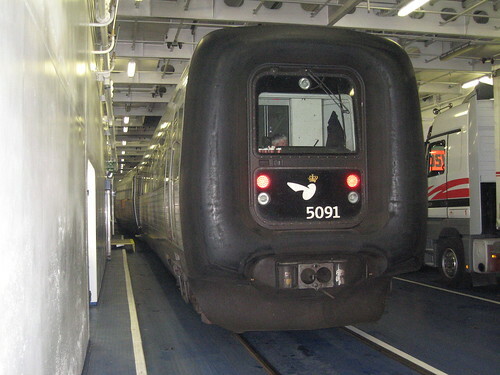 A Danish IC3 train from Hamburg to Copenhagen is seen here on the car deck of the Scandlines ferry. 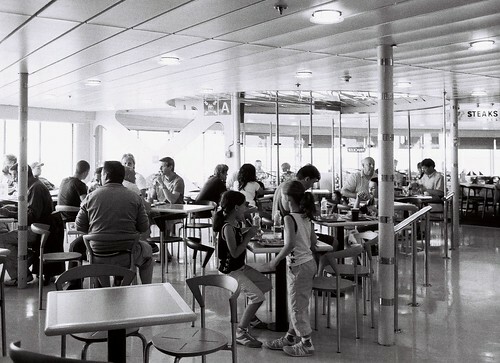 Passengers who enjoy the 45 minute crossing and the comfortable ferry with on-board restaurant may not appreciate the change, but it will reduce transport costs. In the absence of land value taxation, however, this is another bonanza for landowners, paid for by taxpayers.